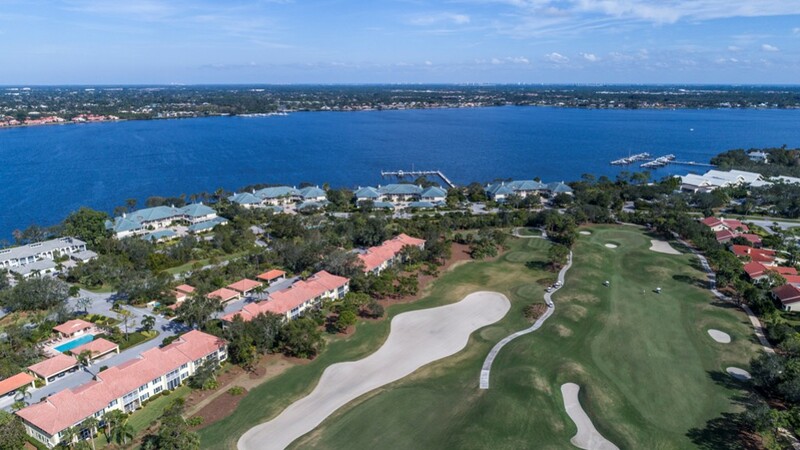 HR Properties, the leading real estate firm at Harbour Ridge Yacht & CC in Stuart, FL, has announced that its annual “The HRProud TOUR” of homes will take place this Saturday, February 10. HR Properties will proudly present additional House Tour homes and condominiums for sale for visitors to view at their leisure. More than 20 years ago, HR Properties introduced the first Harbour Ridge Men’s Member Guest Friday Open House Tour of Real Estate. The tour of homes was so successful that it was adopted by the club and became a premier real estate showcase of available homes/condos for sale in the community. Golf course view from 12415 Harbour Ridge Blvd. condo. This year’s tour will present the following properties which will be open from 10 to noon. All are welcome. Send me more information about Harbour Ridge Homes! Featuring major facilities for golf, boating, tennis, fitness and a workout area for “man’s best friend, your dog, this member-owned, equity club maintains more than 40 percent of the community in its natural state. Furthermore, it enjoys a two-mile-long coastline along the wide St. Lucie River. Harbour Ridge Yacht & Country Club was named ‘Community of the Year’ for 2015-2017 by the Golf Course Home Network for being the most visited golf and waterfront community over the course of the year. Send me more information about Harbour Ridge! Harbour Ridge Yacht & Country Club features two championship golf courses designed by two of America’s top architects. Joe Lee authored the Golden Marsh Golf Course and Pete Dye designed River Ridge Golf Course. The pair provides, to the delight of residents, two completely different challenges in style and design. Send me more information about Harbour Ridge!